Finding my tribe: reason #1 to be thankful in 2013 – PUT THAT IN MY FACE. I’ve been looking for my tribe my whole life. I’ve never had friends that also happened to be runners. Just never worked out that way. And so, my running wasn’t really a conversation piece. I knew it wasn’t for them and that was fine. I also, didn’t feel like being anyone’s cheerleader, I was too busy just trying to get by myself. 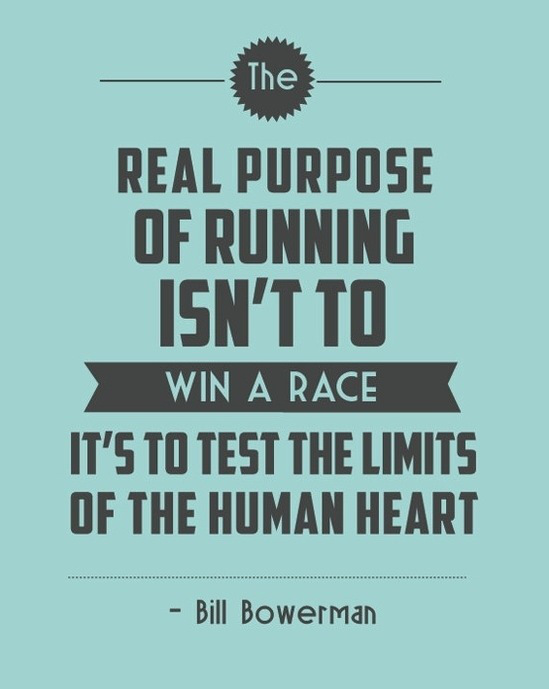 As you all know from previous posts, running has been an area of contention for me due to my heart condition. I just wanted to do it, peacefully, in secret, without having to explain myself to anyone. When I moved to Maine, I lost my will to run. I had moved away from all my favorite running routes, the Boston skyline, the Charles River, all the characters I like to watch along the way as well as all the motivation I ever had. I resorted to the treadmill, just to keep myself “sort of” in shape after the birth of my second child. I capped out at 3 miles, running at a glacial pace. And in the distance I saw the runner I used to be, the one who ran countless races at a competitive pace (never winning of course, but always feeling like I was close). Even without the win, I always felt proud. In October of 2012, I ran my 1st 10K in over 4 years, after training with 2 friends, I could reach 7 miles. But, just when I was getting in the groove, winter came around and they weren’t quite as fearless as I thought. They stopped running and I clamored to figure it out alone. After a tragic life event, one that absolutely shattered my ability to rationalize the meaning of “complacency” and “regret”, I decided it was time to stop wasting my time and went in search of my “real” tribe. I don’t know how the internet brought me to the Maine Track Club page but somehow, it did. And somehow, Kate Shorey Kelly got ahold of me with such enthusiasm that I couldn’t imagine not showing up. I was on the verge of giving up on running. I was just about to say goodbye forever. But when Kate invited me to the Facebook group and I posted (so embarrassed by the way), “Is anyone up for 10 at 10 on Saturday?”, I never would have thought it could change my life. Leading me to the Yarmouth Roasters, to my new-found bestie/training partner and a group of people who make me want to run down the road, giving everyone a high-five. The people in this group, either by osmosis, cheering me on via social media or running by my side, have single-handedly changed my life for the better. I have completed 3 half marathons since joining, a handful of 10K’s and in 2014, I will be marathon ready. When I’ve been scared, they’ve told me I could do it, even if they didn’t know me well enough to make an informed decision on the matter, when I’ve wanted to stop, someone has made a joke so I could keep running, when I thought my pace was set for life, they challenged me to go harder, dig deeper, look farther ahead. Don’t stop. Never stop. Give it everything you’ve got. They won’t settle for letting you be anything but the best. And I dare anyone to show up and not be invigorated by their energy. I dare anyone to show up and not come out different. There is companionship, friendship, warmth, philosophy, integrity, athleticism, support, determination, I mean the list of adjectives is endless. These people are magnificent. Some of them, do absolutely phenomenal things, I mean, they run a mean race but they would never brag or judge anyone for not doing the same. The level of ability is intimidating, until you realize, no, that doesn’t matter, because really, we’re all the same here. I look up to these people, I mean, really look up to them, but you find quickly in this group, everyone admires one another for different reasons. I know that tackling my 1st marathon will be an emotional event. Not only will they help me get there but they will celebrate with me. They already have, telling me all the reasons why I should and could. Maybe it’s silly. Maybe I over think things. But someone led me here to make my heart stronger and to make me happy here in my new home. This year, with Thanksgiving just around the bend, I will be thankful for all my Roaster people. You have all made my life brighter with the gift of running. I look forward to the many miles in the blustery winter temps as well as the sweltering summer, with those beautiful in between times where we can all sit and have longer conversations by our cars, laughing about things like toenails falling off. You are special individuals who maybe don’t even realize your power. Every single one of you. Thank you for your contribution to my running in 2013. Thank you for being the tribe that you are every Saturday, with mid-week runs and encouragement. It means the world. Really, the world. A special thank you to the following: Kate, Allison, Alan, Jan, Kristin, Meg & Meg, Dave, Terry, etc, who made this summer/fall my best seasons in a long time, just by pushing me a little harder in different locations, at different paces. Jenny, what a beautifully written piece. I, too, blog. It ended a while ago through lack of time but I had considered restarting and blogging about my BM journey with all you guys. Its lovemyrun.wordpress.com. I hope you know what a special piece of our MRC puzzle you have already become. Our toenail discussion was a funny one and I only hope someday you can feel that pain too. LOL. You fit in so well with all of us and US finding YOU has been a treasure. Lots of wonderful coincidences can bring people to the place they’re at but you’re clearly one of US now. Welcome to our crazy tribe. Now pass me that immunity idol…..
I’m going to be your biggest cheerleader once that marathon training starts. You won’t be able to dog it with me around! Keep up the great work. You’re a shining example to your family and many others.